Check Out The iMirror! Is This Apple's New Product? A video has been flying around the web of an interactive tool that looks like something you would find in the Apple store. The video posted onto YouTube by user dymekraf has now been viewed almost 340,000 times by excited Apple lovers who have been speculating whether this could be the tech company's next step. But if you think that this is a 'leaked' video by Apple offering a sneak peak of their new product, then sadly you're wrong. 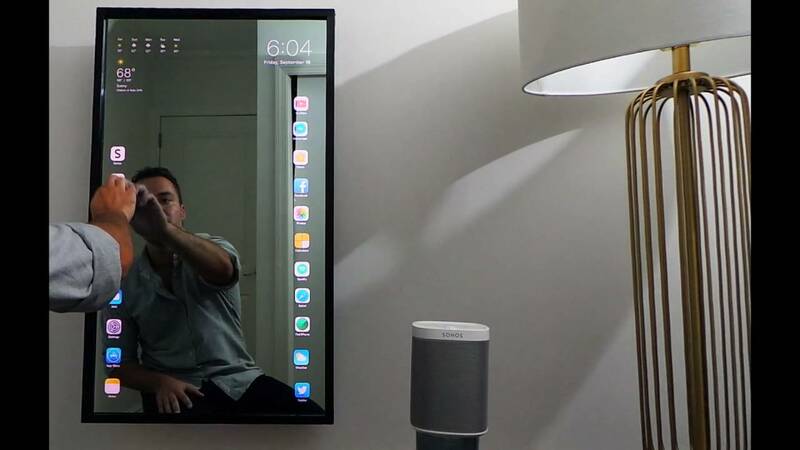 The users, real name Rafael Dymek says he "created a fully functioning smart touchscreen mirror based on Apple's iOS 10." In the video he demonstrates how his creation works. 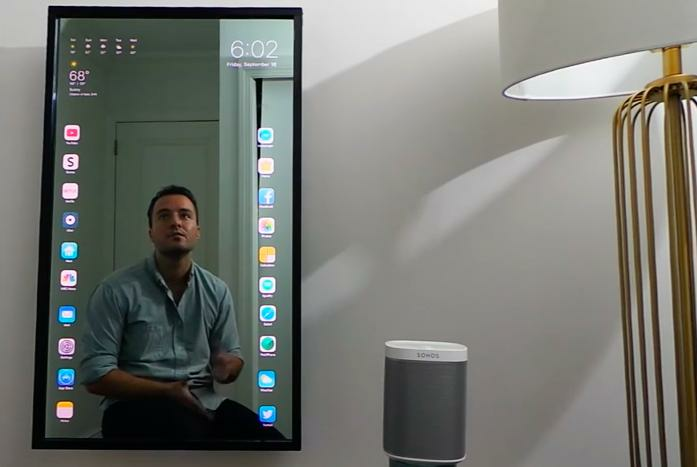 It displays the weather, the time and all of his apps including Facebook Messenger, music and Netflix as well as being able to request an Uber from it while he's getting ready to go out. WOW, that's one clever Apple fan! But he also made it clear that "the mirror was created as a personal project and is in no way being used for commercial reasons." "My only goal for this project was to create something useful that I could see myself using"
Could you make us one too please? !